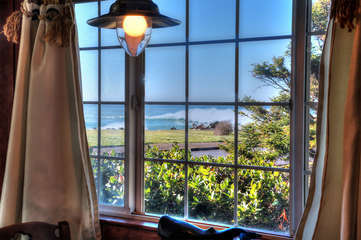 Coastal charm and crashing surf. 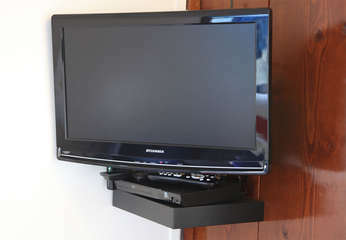 Just giving you a clue of what to watch for. 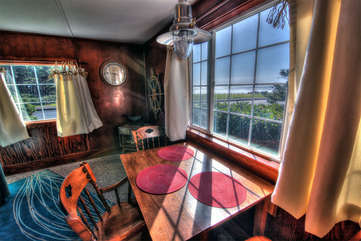 A sunlit table for ocean view dining. 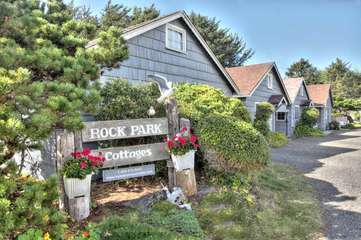 Enjoy the best of Rock Park, beauty and convenience. 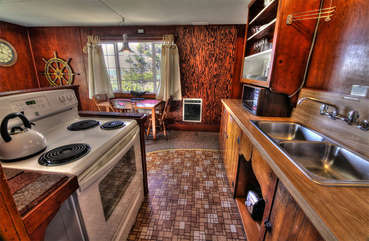 Classic country kitchen, well equipped and easy. 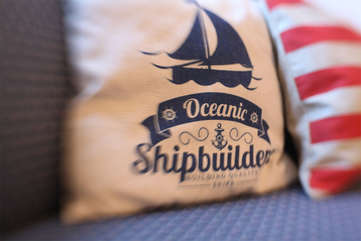 Casual comfort and a nautical theme. 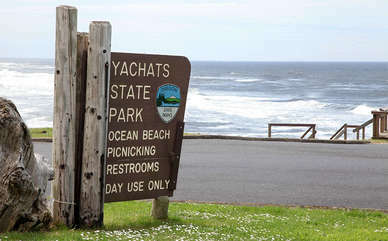 So many amazing views from this Yachats treasure. 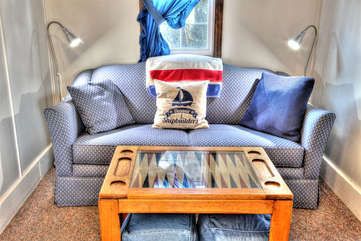 Colorful furnishings selected for comfort. 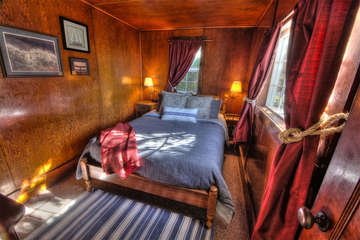 The Captain's bedchamber, a wood-paneled delight. 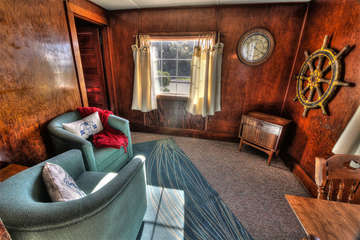 The living room provides a quiet oasis and a full sleeper. 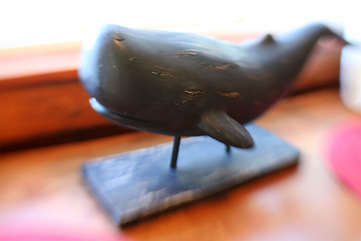 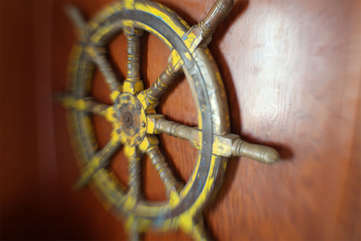 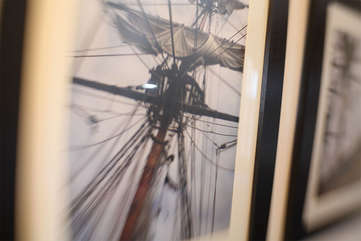 Sights and sounds of the Sea inside or out. 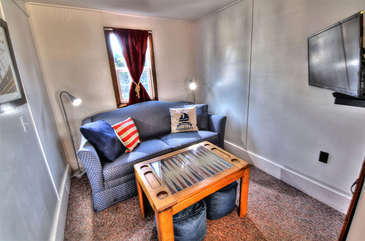 The perfect spot for games or catching the big movie. 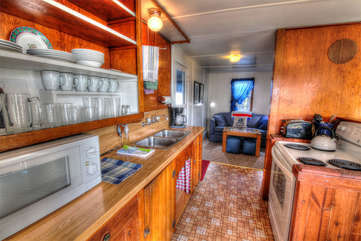 Stainless steel double sinks in the kitchen. 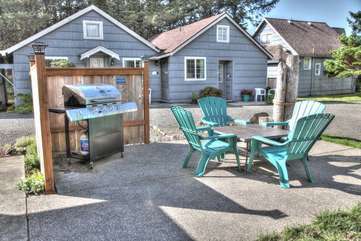 Modern appliances in a country setting. 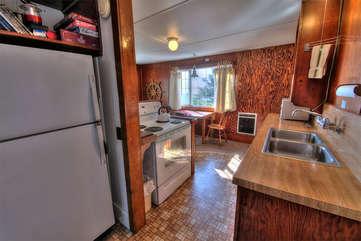 Plenty of cabinet and counter space to work with. 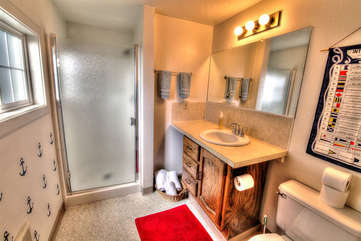 Bright, clean bath with walk-in shower. 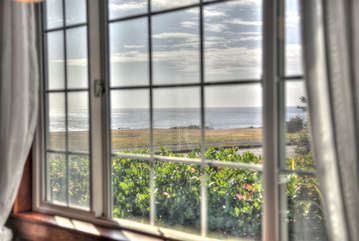 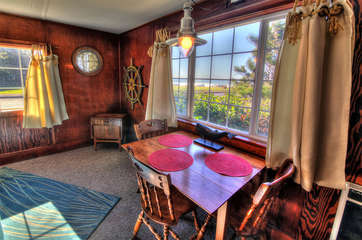 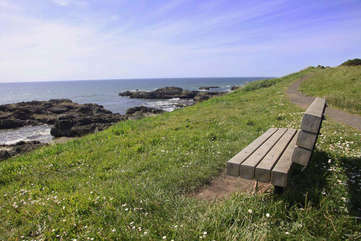 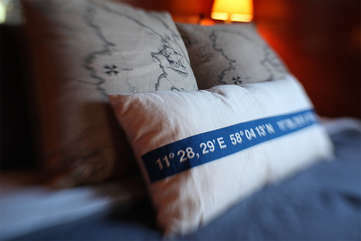 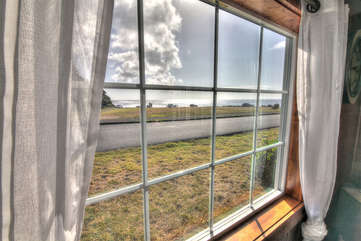 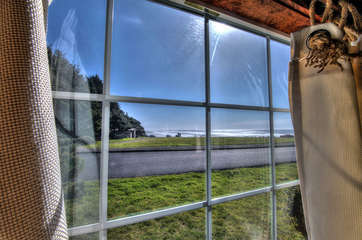 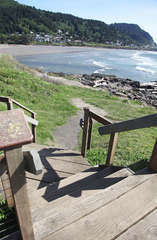 The Rock Park Captain's Landing is located in a quiet little area in the heart of town, overlooking Yachats State Park and the Pacific ocean. 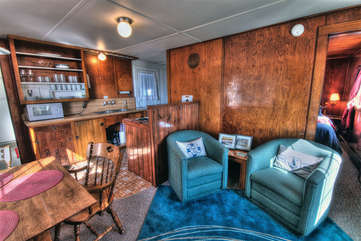 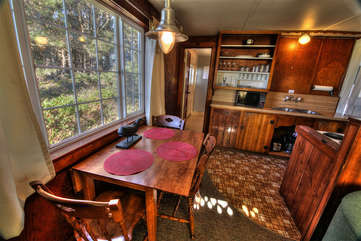 This historic, rustic, wood paneled, cottage has a fully-stocked kitchen, sleeps up to 4 people, and is pet friendly!